Brian Cannone began his full-time career in the fitness industry in 1991 and continues to operate health clubs today. His experience in this business has lead him to run many successful health clubs and his responsibilities include setting up new facilities, building and managing a staff, daily membership sales, personal training, and club marketing and promotion. He is also certified as a personal trainer, nutrition consultant, and group cycling instructor. Brian went into promoting fitness events with enthusiasm and a very genuine love for fitness and the sport of physique. His approach and feelings about fitness and bodybuilding is that it is not only a sport but more of a way to motivate yourself to achieve results of losing body-fat and gaining lean muscle along with improving overall health. By entering a fitness modeling show you push yourself to be in your best possible shape of your life. Brian started competing in natural bodybuilding and became the promoter of the A.A.U. Mr and Ms Connecticut Bodybuilding event. Ultimate Fitness. This health club started with a trailer in the parking lot and an idea planned over 16 months. Brian was a major role in every decision made from designing the company logo, choosing equipment and layout, planning the group class schedule, hiring employees, choosing company uniforms, helping pick the colors of the facility, including in overseeing general contracting and construction, planning the marketing approach and following through with radio, print, and all local advertising. Brian Cannone created Fitness Atlantic in 1999 to provide all contestants a chance to shine! With a consistently sold-out audiences, national exposure and production standards designed to make every contestant feel like a star, the Fitness Atlantic is like no other event you will ever witness! This is certain to be the most personally rewarding event you can enter. Now you can Turn Professional, Win Awesome Prizes, and Get the Opportunities You Deserve. One great thing about Fitness Atlantic is that “Everyone is a Winner!” In fact, it is more about the results you gain then the trophy you may take home with you. Fitness Atlantic has more of a pageant feel and draws attention of fitness models from the entire New England market and beyond. Brian Cannone published multiple online fitness products. The writer and publisher of Stage Ready Nutrition and Training, Maximum Muscle Mass, Muscle in a Month, No Discount Guide to Fitness Marketing, and FSTV Fitness Show Television. Other client projects include Body Rock Project, Body-Construct, and Simple Bodybuilding Nutrition. Brian started attending fitness mastermind groups with many of the top fitness marketing and lifestyle entrepreneurs. In 2011 and 2012, Brian Cannone hosted Fitness Trainer Tony Horton, creator of “P90X® Extreme Training System,” lead an open workout at the Fitness Atlantic Event in Wallingford, Connecticut at the Dome at Oakdale Theatre. Published Writer for fitness publication Fit & Firm Magazine an online publication reaching over 300,000 monthly readers from 90 countries. Most of Brian’s articles have career advice for future fitness models on ways to better themselves as business people or industry hot topics from Crossfit to Tough Mudder. Helped launch the world’s first fitness radio on FTNS with the creation of the show The Body Shop. The Body Shop was one of the first shows created for the new internet radio station hosted online and streaming through computer, iPhone and Droid. Bringing many of the largest fitness celebrities to life with guests including Tony Horton, Shaun T, Dolvett Quince of The Biggest Loser, Brett Hoebel of The Biggest Loser, Dr 90210, Flex Wheeler, Paul Dillett, Monica Brant, Lee Priest, Rick Valante of Body Shaping, Skip LaCour, Vince DelMonte, Dr Squat Fred Hatfield of ISSA, Rob Orlando of Crossfit, The Natural Randy Couture, and many other fitness stars. Brian Cannone recently joined with a select group of America’s experts to co-write the book titled, Champions: Knockout Strategies For Health, Wealth and Success. On the day of release, Champions: Knockout Strategies For Health, Wealth and Success From Today’s Leading Experts reached best-seller status in two Amazon.com categories – reaching as high as #2 in the Direct Marketing category. The book also reached best-seller status in the Entrepreneurship category. Brian Cannone began his full-time career in the fitness industry in 1991 and continues to manage health clubs in Connecticut today. His experience in this business has lead him to run many successful health clubs and his responsibilities include setting up new facilities, building and managing a staff, daily membership sales, and club marketing and promotion. He has also lead many successful personal training companies on the same business methods. Champions are ultimate winners. It is not a shared position. There are no two first places in a race. However, in business, we have a broader sense of championship. There are many races to run, many titles to earn, and many causes to champion. So there are many Champions. Reaching the pinnacle and staying there in business is very difficult in a highly competitive setting. This rivalry drives competitors to perform their best to achieve their ultimate goals. In fact, it could readily be said that competition drives champions. In this book, this group focuses on success in business and personal achievement. We also learn from them that while economic predominance is important, the journey to get there is equally so. They revel in becoming the best. They revel in achieving goals that no one has before. 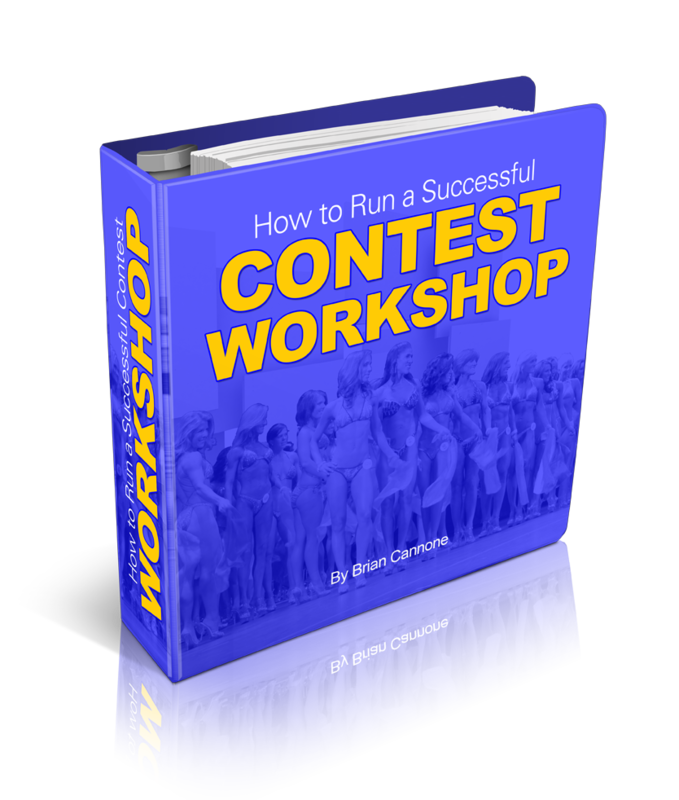 After such a successful release, Brian Cannone will be recognized by The National Academy of Best-Selling Authors™, an organization that honors authors from many of the leading independent best-seller lists. Brian Cannone hosted live fitness trainer Shaun T, creator of “INSANITY® Extreme Workout System,” lead an open workout at the Fitness Atlantic Event in Wallingford, Connecticut in one huge workout. All events included question and answer sessions and photo opportunity with meet and greet. Shaun T event grew to become known as ShaunTervention and drew over one thousand attendees. Brian Cannone becomes Marketing Director, Oversee marketing and advertising for Planet Fitness Connecticut Franchises. The Largest Health Club Chain in the State of Connecticut and growing with over 200,000 members in Connecticut. Main Tasks and Responsibilities Include: Manage and coordinate all marketing, advertising and promotion and activities, develop and implement marketing plans and projects for new and existing members, expand and develop marketing platforms, manage the productivity of the marketing plans and projects, develop pricing strategy, create marketing presentations, liaise with media and advertising and collaborate with the sales function in the clubs. Organize and participate in marketing events, prepare online marketing campaigns, update company website and social media marketing. Handle all direct mail, radio and television advertising and budgeting. HARTFORD, CONN. – The Connecticut Convention & Sports Bureau (CTCSB) recently presented “2014 Bring It Home Awards” to Brian Cannone for contributions to making the state a successful meetings, convention and major sports events venue. The presentations were made during the awards ceremony at the Connecticut Conference on Tourism (CCOT) at the Connecticut Convention Center. Work directly with the management team and contributing to the development and implementation of organizational strategies, policies and practices. Oversee all daily operations and communicate with all key players. – Lead and drive weekly conference calls and monthly sales meetings. – Oversee all club revenue streams in memberships, club offerings and services. – Drive revenue in personal training and group training. Hold weekly conference calls with personal training managers and monthly meetings with entire personal training staff. – Work directly with the marketing manager to improve sales conversions and handle all in-club marketing process. – Oversee company website and social media marketing and brand development. The FMI Guild specializes in business education for Fitness Lifestyle Entrepreneurs. Learn How To Grow Your Fitness Business in the Digital World! PASSIVE INCOME: Create Products that make Money While you Sleep! Fitness Atlantic moves to Mohegan Sun Resort Casino! Mohegan Sun is one of the largest casinos in the United States, with 364,000 square feet (33,800 square meters) of gambling space. It is located on 240 acres along the banks of the Thames River in Uncasville, Connecticut. It is in the foothills of southeastern Connecticut, where 60 percent of the state’s tourism is concentrated. It features the Northeast’s largest ballroom.